Editing. Every self-published book should at least be proofread by a professional. Preferably it should get a content edit first, but you definitely can’t let it go to press without a proofread. Several hundred dollars to a thousand plus. Types of Editing. 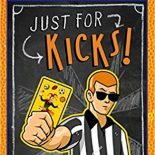 This entry was posted on August 18, 2014 by johnbriggsbooks in Editing, Publishing, Writing and tagged book covers, book editing, Book fairs, book marketing, publishing, self-publishing, traditional publishing.